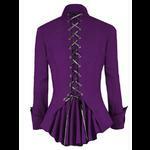 A beautifully detailed purple gothic jacket top made from soft polyester with a slight stretch. 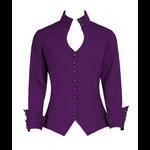 The top has a keyhole shaped neckline with a stand-up mandarin style collar decorated with two little buttons. 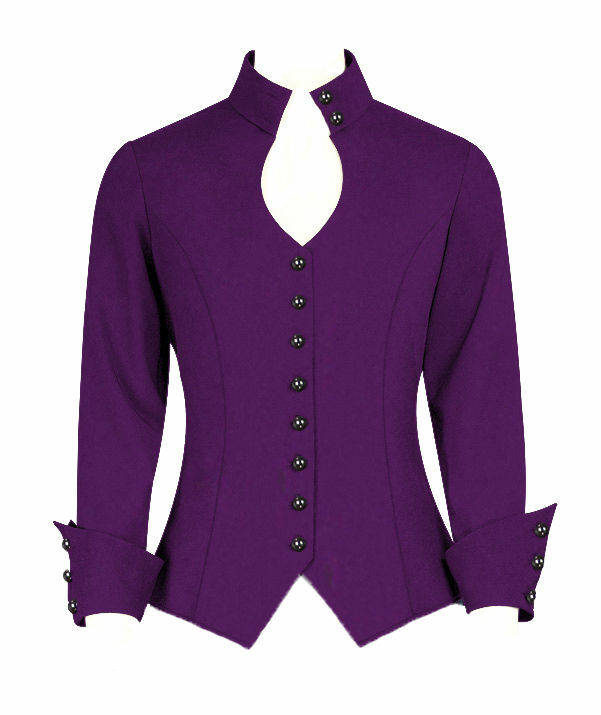 The top has flattering princess seaming and a row of black buttons at the centre front. 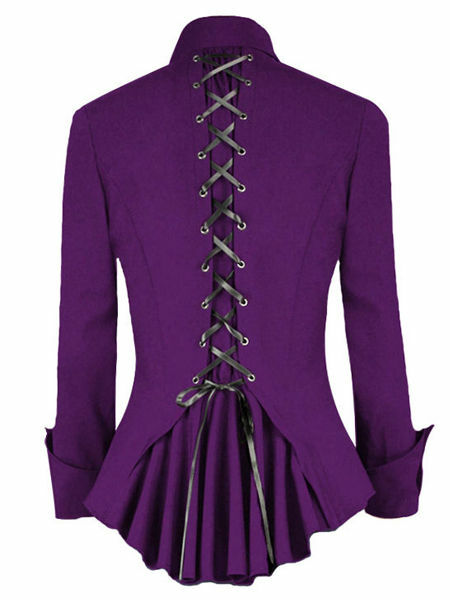 The centre back has a black satin ribbon corset laced panel with a gathered fishtail peplum insert at the hem. 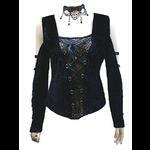 The sleeves have turnback pointed cuffs with black button decoration. Length is approximately 26 inches.